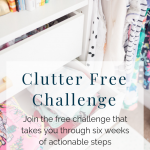 Welcome back to the Clutter Free Challenge! By now I hope you are feeling better about your kitchen. 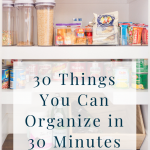 If not completely organized, it’s at least decluttered and that can go a long way in feeling good about a space. 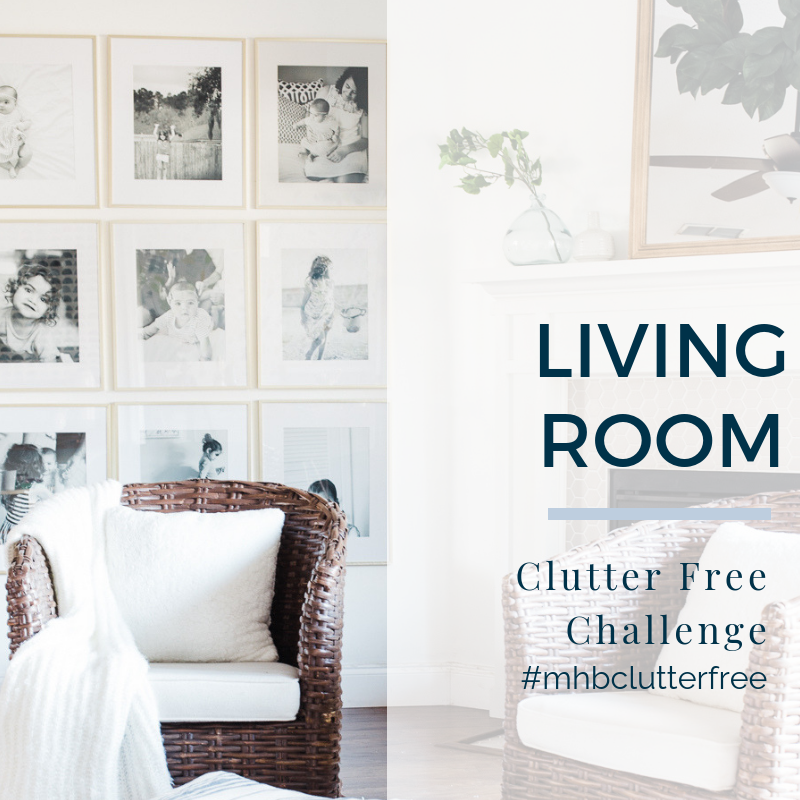 Week 2 of the Clutter Free Challenge is underway and it’s all about living spaces. This week’s decluttering work might prove to be the most impactful. Your living spaces are the ones where you spend the most time and are likely the most functional (or you hope they will be). Areas like your living room, family room, entryway, bonus room, media room, etc. The spaces where life happens, where gatherings take place, that’s the focus of this week. For me, that’s my entryway and my living room. 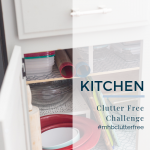 As we prep to organize this space, let’s first purge the items that are no longer serving a purpose in the space. Like with the kitchen last week, getting rid of the baggage creates a nice clean palate for functional organization. Go through every inch of the living spaces and decide, “Can I let this go?”. Create a pile for items to donate and a pile for items to toss. 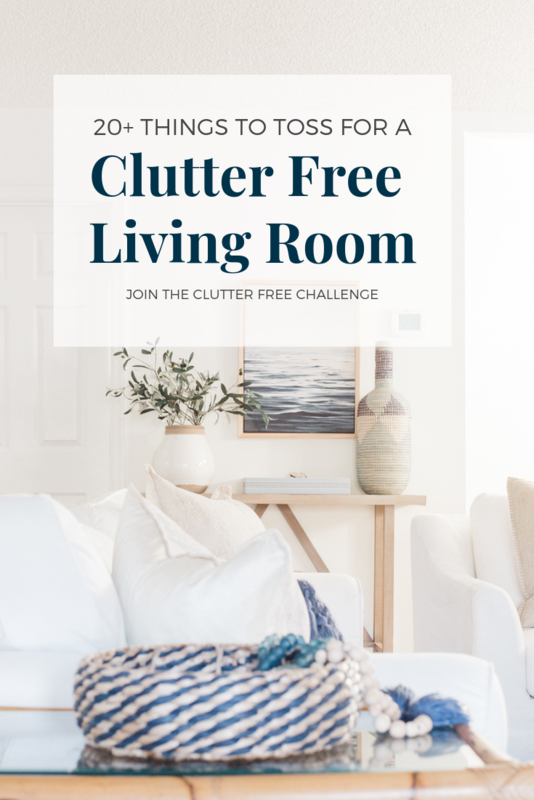 If you need a jump start on what to get rid of, I created a handy list of things you can get rid of right now to declutter your living room and create a more comfortable living space in your home. Later this week I’ll be tackling my girls craft cabinet which is stored in our living room so stay tuned for that! Decor You No Longer Need | If your style has changed but you’re still hanging onto mismatched items or things you don’t love, it’s time to let it go. This is the perfect time to clear off console tables, mantels, and bookshelves. Keep only what you love and only if it coordinates with your style. Unused Baskets, Bowls, and Trays | I’m a vessel collector and am always purchasing another basket or bowl. The problem with excess baskets is that they invite clutter. Can’t find a home for something? Toss it in a basket to never be seen again. Ditch the baskets that don’t have an explicit function. Unused Lamps | Sometimes lamps are functional and sometimes they are just taking up space. Have you switched your lamp on in the last few months? If the answer is no, put it in the donate pile. DVDs/CDs and other media | We are pretty much a 100% streaming family now so we have no need for DVDs or CDs which is kind of sad to say, however, it feels so good to not have the extra stuff laying around. Remote Controls, Electronic Devices, and Cords | Ditch any unused electronics (goodbye boom box), their remotes, and cords. If you have a drawer full of unused cords, ditch those as well. Books/Magazines | We tend to hold on to a lot of books, magazines, and other random media. I love magazines for inspiration – especially home inspired ones so I’ll save a few favorites and donate the rest. Blankets and Throw Pillows | My collection of blankets and pillows is definitely at hoarder status. I sold quite a few pillow covers at the beginning of the year and donated a few throws but I definitely need to do more. If you’re in my same boat with too many pillows and blankets consider this. One pillow per chair in your living room, and three to four pillows per sofa/loveseat (I’m being generous here). I would say any more than three blankets in the living room is overkill. Whatever is left over, donate. Wall Decor/Picture Frames | When I change out my wall decor I tend to hang onto the item I replaced for a while. I tell myself that at some point it will go back on the wall but it never actually does. If you have wall decor or unused picture frames floating around, try selling them or donating them so someone else can enjoy them. Plants Faux and Real | This might be a weird one but some of us can get carried away with plants. I recently found myself feeling like I was a bit over the top with the faux greenery. I finally got rid of a few faux stems because there were just too many in our living room. If you look around and have an excess of real plants, try gifting a few to neighbors or friends. 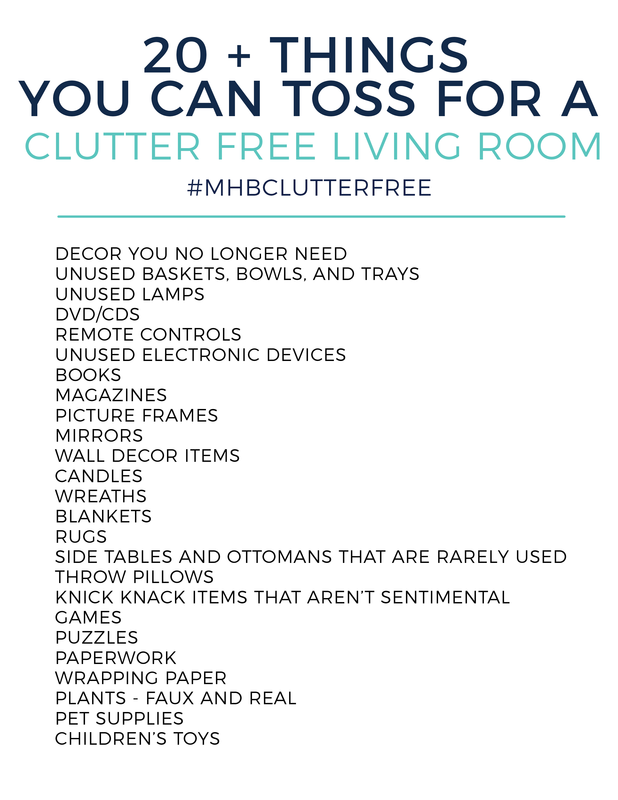 See below for a more extensive list of things you can declutter in your living room right now. You can download this printable by clicking here. Yes on being a vessel collector! 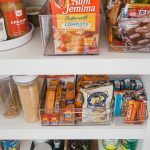 I’ve bought so many basket, bins, and other storage items over the years because “I need it.” I’ve stopped buying them until I organize everything to a point where I can actually judge what I need.